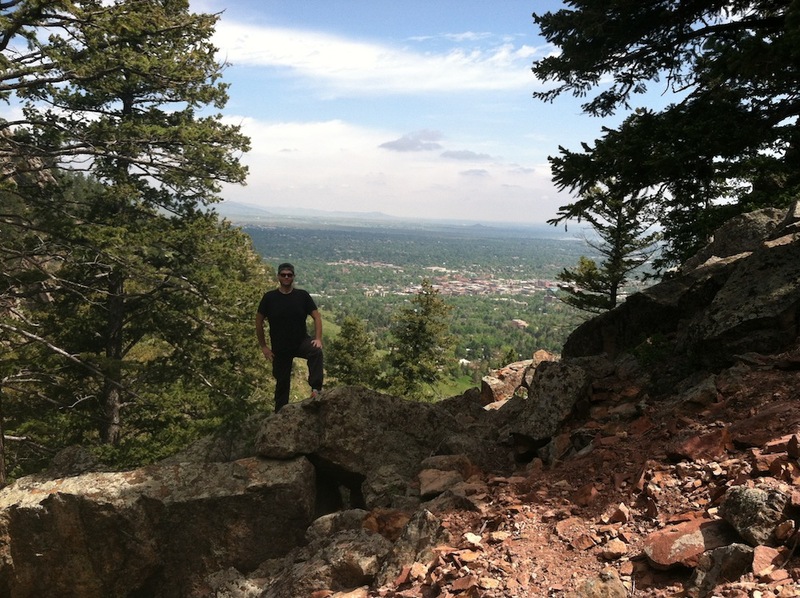 Boulder Colorado | Keep It Up, David! I got an unexpected surprise in the mail recently. 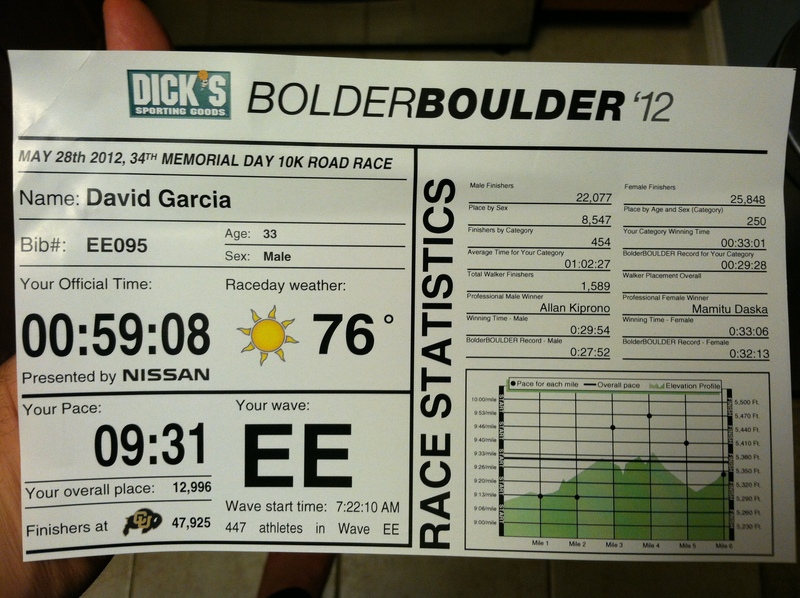 It was an info sheet with finalized race results from the BolderBOULDER! I ran the BolderBOULDER with my sister Sarah on Memorial Day, and it was a fantastic race. The course wound through the streets of Boulder and ended up in the football stadium at the University of Colorado. See pictures and learn more about the race here. I haven’t had much experience when it comes to running races. Before yesterday, I’ve only raced in two of them – a 10K last November, and a 5K a few weeks after that (recaps of both can be found on my Races & Events page). But, despite my rather short race resume, I’m completely confident when I say that I will never have a day like yesterday. The BolderBOULDER 10K Memorial Day Race is, simply put, unbelievable. I had read the statistics long ago: 54,000 runners ran last year, from all over the world. It’s the largest all-timed race in the country, and the fifth largest in the world. Reading those statistics is one thing, though – being a part of them is completely different. Let me take you through the race – I took pictures, and have memories that I won’t forget any time soon! 1) Cinco de Mayo! I had a fun surprise at the end of last week… I was on TV! A year ago, I was working at Warner Bros. when I was captured, on hidden camera, being startled by a mariachi band. It was a prank for “The Ellen DeGeneres Show,” and they ended up using the footage on the show. This year, for Cinco de Mayo, they used the footage again! You can watch me getting startled by clicking here. I’m at the 1:10 mark (the link is what they aired last year – it features a few more seconds of me than the version they ran this year).